Senator Pam Helming today announced that seven towns and villages within the 54th District will receive a combined $9.6 million in state grants for local water infrastructure projects. As Senator, she has led the fight to ensure that New York State prioritizes water infrastructure funding for our local communities in the Wayne-Finger Lakes region. “Clean, affordable water isn’t a luxury for our families and local communities – it’s essential. This much-needed funding will allow these towns and villages to upgrade and replace their aging infrastructure in order to ensure that their residents have safe, reliable drinking water. These improvements will also increase the economic growth opportunities for businesses served by these municipalities as well as increase public safety because of the increased volume and pressure for fire protection. I was proud to help lead the fight for the inclusion of this money in the state budget and am pleased that it will directly benefit our local communities,” Senator Helming said. 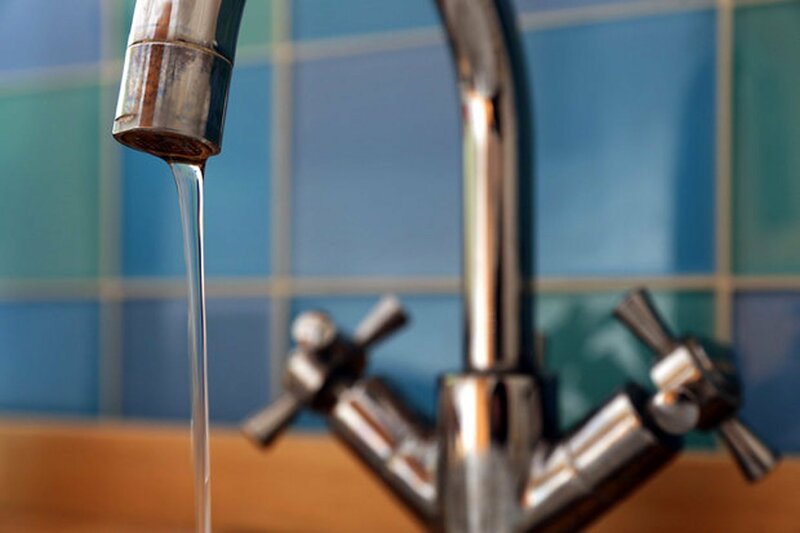 “This is great news for the people of the Town of Geneva as well as the Towns of Phelps, Junius, and Waterloo that are also involved in our intermunicipal water expansion. This project is a terrific example of saving money by sharing services, and it will also ensure that we can continue to provide all of our residents with a safe and reliable water supply. Clean water is important to our four towns, and we appreciate what everyone, especially Senator Helming, did to make sure that local communities could have the resources necessary to make these projects happen,” Geneva Town Supervisor Mark Venuti said. “Receiving this grant is fantastic news, as we have been looking for ways to improve our water infrastructure. This funding will ensure that we can provide a safe, reliable source of water for the almost 30,000 residents in the Village of Newark as well as Wayne and Ontario Counties that we serve. We thank Senator Helming for all of her help in securing this funding and for her outspoken support,” Newark Village Mayor Jonathan Taylor said. “This intermunicipal water project is something that we’ve been working on for a number of years. Our towns have worked on several different projects in the past, and this is a big project that will save money for the taxpayers of our county and our town. This grant is a great way to promote cooperation and shared services, and we appreciate Senator Helming and our other elected officials who helped secure this funding,” Phelps Town Supervisor Norman Teed said. “We are very happy and very thrilled. This funding will go toward our water treatment plant, and it will definitely help us make the necessary repairs to clear up the issues we’ve been having there and protect our water supply against blue-green algae in our lakes. Senator Helming was instrumental right off the bat in securing this overall funding, and she was a terrific partner in supporting our project. 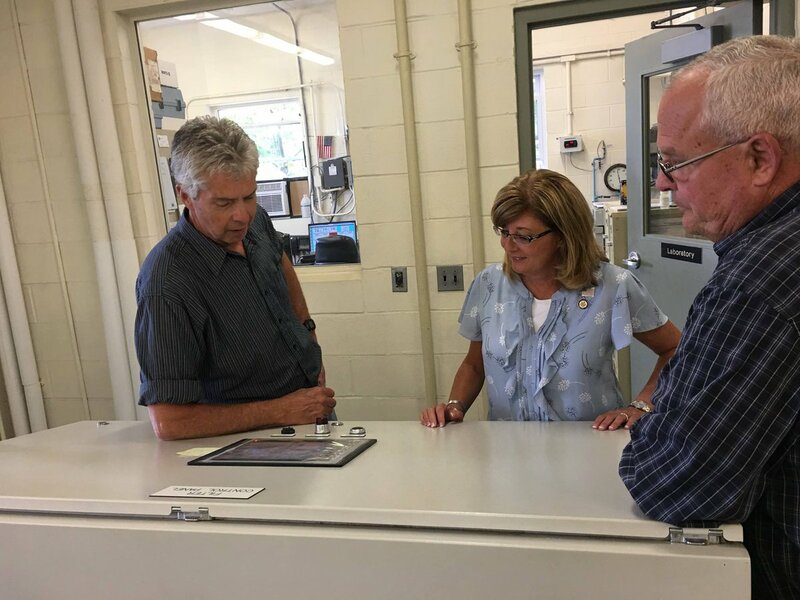 We gave her a personal tour of the plant so that she could see what we want to do to improve it, and we’re thankful for everything she has done for us,” Waterloo Village Mayor Ted Young said. The Water Infrastructure Improvement Act invests more than $2.5 billion in upgrading aging drinking water and wastewater infrastructure in communities throughout New York State. This year, more than $200 million was available to municipalities and water districts, which applied for funding in the late spring. Another round of funding will be available next year, with a request for proposals to be available in spring 2018. “Many local communities are working hard to improve their water infrastructure, but often lack the adequate financial resources to complete these essential upgrades because of tight budgets. The funding that we secured through the Water Infrastructure Improvement Act gives our local towns and villages the ability to make these upgrades so that they can continue to provide safe, affordable drinking water. I will continue to work with our local leaders to secure critical funding to improve and protect our water and sewer infrastructure,” Senator Helming said.